Are You Ready for the Winner's Circle? Growing up in Colorado, Pat was hired as a teenager by a family who'd moved from Texas. Known as Bible thumpers and "Jesus freaks," they demonstrated a rare, gentle compassion. The lady of the house eventually began telling him about the Lord, hauling out her flannel graph board. Praying no one would find out, Pat sat and half-listened. One afternoon, he prayed the sinner's prayer, as much to satisfy this kind Christian woman as much as anything else. Becoming one of the most winning jockeys on the racing circuit in the early 1980s, Pat won a major event in New York. When legendary sportscaster Jim McKay interviewed him on live television, Pat remembers saying, "I did it! I did it!" He didn't thank the owner, the trainer or the horse. He claimed the victory for himself. To this "Day," it is one of his deepest, most cringe-inducing regrets. Not long after, lying in the dark of his hotel room, Pat turned on the television and listened to the program of a well-known televangelist. He listened to the words of Christ's sacrifice for our sins, and drank in the words of grace, redemption and forgiveness. Lost in a haze of booze and drugs, it was only then that he remembered praying at the kitchen table with the loving Christian woman in Colorado all those years before. It was also on that night that Pat realized his personal need for the Savior to save him from himself. Pat Day may be diminutive in size, but he is certainly statuesque in the eyes of our loving Father. How many of us writers, like Pat, have a goal in mind, only to be thrown out of the saddle, again and again. It's all in how we react that makes the difference. We can stay on the ground, wallowing in our misfortune and misery, or we can stand up, dust off the seat of our pants, and get back in the saddle! Contest scores, critiques and rejections can be humbling, but they prove how hardy we are. The Lord has gifted us with words. Let's use them wisely. And when we reach a goal, no matter how small, or how significant, let's give the glory to the greatest Creator of all. Did I ever tell ye about the time Jack went huntin' in the hills 'round his place and got caught out in a frightful storm? He couldn't see the trees in front of his face. He looked high and low for a shelter place. Finally, he come upon a little ol' cabin. When he knocked on the door, a tall man opened it. Says, "Why, Jack, come on in. We'uns is a-havin' a frolic. Got beans with striped meat and cornbread what'll be done direc'ly. We're takin' turns entertainin'. Ye play the fiddle?" "Naw, sir. Cain't play no fiddle." "Well, tell a story, then, Jack." The tall man shook his head sorrowfully. "I'm sorry, Jack, but you'uns need to go out and get yourself a story afore your worth your beans." To make a long tale short, Jack went down by the creek, where he got plucked up by a whirlwind and blown away to a place that was nothing but trouble and heartache. First one thing happened and then another, till at last the boy 'bout got stuffed into a coffin he had built and dropped into a six-foot-deep grave hole he had dug. Have mercy! If it hadn't been for that whirlwind that happened back by in time to whisk the lad out of that precarious situation--well, let's not even think about what could o' been. Anyhow, that big blow dropped him smack-dab in the same spot, beside the creek that ran before the cabin. He stood up, brushed hisself off, and went up to the door. The tall man opened it again. "Jack, ye got a story for us?" Jack pert nigh split his face with a grin. "Have I got a story for you'uns!" Hard times. We've all had our share. They're not pleasant. Many of my writing colleagues are facing challenges right now. One man is in a job that has become a burden. Because he works on commission and the economy is lean, he is barely able to sustain a household. Some in my critique group are dealing with health issues, either their own or those of a close family member or friend. Others have lost someone whom they cherish. Then there are the moms and dads who balance careers and families while trying to squeeze out of each day a few minutes to write. The story I opened with is from a cycle called "The Jack Tales." They're from the Appalachian oral tradition. In most of the stories, Jack and his mama are having hard times. You've heard about when things got so bad that Jack had to sell their last milk cow? As a storyteller, I often tell my audience, "Them hard times we go through give us strength. The Good Lord brings us to 'em and through 'em." Jack had to suffer some trials in order to get his story and be worth his beans. Like you, like Jack, I've survived some of life's dark valleys: deaths in the family, money troubles, illness, even a divorce that caught me by surprise. For a Christian, those can be times of great spiritual growth because we have to lean so completely on Jesus, our Good Shepherd. We may think of our hard times as hindrances to our writing. Certainly, we may have to set aside the pen for awhile as we deal with the situation. The writer who journals as such times, however, may experience the cathartic effect of such exercise while developing a valuable resource for her writing. Having suffered herself, she can empathize with her suffering characters. Robert Frost said, "No tears in the writer, no tears in the reader." So are you worth your beans? What has happened in your life that you can now apply--or have applied--to your writing? We'd love to read your comments. Is your writing in style? Which one? There are several, you know. Or, didn’t you know? I’m not talking about font or letter style—I’m talking about grammatical and punctuation style. Yep. Crazy, isn’t it? I thought there was only one way to punctuate. That’s what my primary and secondary teachers taught me—there was the right way and the wrong way. Right? It wasn’t until I submitted a book proposal to a contest and received several judges conflicting comments that I realized this wasn’t true. One editor said I used too many commas. The other one said my grammar and punctuation were spot on and gave me a score of five out of five. How can that be? How can the same work be both right and wrong? These style guides each contain different sets of rules. Different publishing houses may use different style guides. Some are used by magazines and newspapers; others by universities. Most guides have new and old editions. The current CMS (Chicago Manual of Style) was updated in 2003 to include computer technology and internet information. This manual is the 15th edition and is said to be the biggest update in 20 years. My critique partner, Lisa Harman, says that styles are like different versions of WORD. There are upgrades, but some publishers prefer to keep their older versions—many times because they’re paid for. So which style should you choose? Ask. Most publishing houses have a preference and share style sheets with their writers. Sometimes you can find their preference in their guidelines. The style guides enable a standard of uniformity in writing regardless of how many different authors write for the publisher. Preferred styles relate to things like grammar usage, whether to use ‘ise’ or ‘ize’ at the end of words, whether numbers should be spelled out, or digits used, etc. The New York Times Manual gives some whimsical entries, such as one for how to spell shh. Here’s another example. Which one is correct? Her worn Bible sits on the nightstand. I pick it up, run my fingers over its leather cover, and open it. Her worn Bible sits on the nightstand. I pick it up, run my fingers over its leather cover and open it. Both are correct. Whether you put the comma after the word cover depends on the style and edition you’re writing for. But what if you don’t know who is going to be the lucky publisher of your WIP? Which style do you use? Pick one and be consistent. I choose the Chicago Manual of Style because it’s the one I’m most comfortable with. I figure if I can successfully and consistently demonstrate that I can write within the parameters of the CMS rules, than a publisher will have the confidence in my ability to switch to their style if it’s different. Wouldn’t most of us do that for the sake of getting published? Don’t let style inhibit your writing. Just know that there’s a difference and the next time you read a novel, magazine, or newspaper stop and notice the style differences in punctuation. How are they different? And as you gather information about publishers, ask what their preferred style is. The most important thing, though, is to keep writing because if you’re not writing, you’re not stylin’ at all. Raise your hand if you ever sell copies of your books directly to consumers during speeches or book fairs or even out of the trunk of your car. (Sales through bookstores or by consignment at conferences don't count.) If you have a license from and pay sales taxes to the state(s) where you make those direct sales, put your hand down. If you still have your hand up, read Matthew 22:15-22, where Jesus tells the Pharisees to "render unto Caesar the things that are Caesar's." Besides our obligations as Christians, there are other reasons for registering with the state. First, if Indiana catches you selling books without registering, it could fine you as much as $1,000. Second, a license is evidence that you treat writing as a business, which helps if you want to deduct your writing expenses from your income taxes. Many states require business licenses or registration for selling goods, including books sold by the author, and Indiana is one of them. Since most of the people who read this blog are Indiana authors, I will use Indiana as my example. If you sell your books in another state, however, you should check out that state's requirements, too. Most writers are sole proprietors--individuals who have not set up any special legal form for writing purposes. Even if the writer uses an alias or a pseudonym, the sole proprietor and the individual are one and the same person for legal purposes. Indiana has a one-time application fee of $25, but the bi-annual renewals are free. You can apply online by going to www.in.gov/core/taxes.htm and clicking on "BT-1 Business Tax Application" under the Business Taxes heading. When the new page comes up, scroll down to the line that says, "Start a new BT-1 online application," and click on "start new." The form is mostly self-explanatory, but there are several things you should know. One page asks for your primary NAICS code. The NAICS code for independent artists, writers, and performers is 711510. When filling out the personal information on that same page, a sole proprietor should list his or her name as the associate name (leaving the affiliate name blank) and give the title as "sole proprietor" or "owner" (either works). If you write under another name, fill it in on the next page where it asks for "Business trade name or DBA." Otherwise, use your own name. On the page asking what taxes you are registering for, check "sales tax." I am not going to talk about the other taxes on the list, but most of them are self-explanatory. The only one that isn't is "use tax," which is a tax on goods brought into Indiana for use, storage, or consumption rather than to be sold here. Most Indiana writers do not need to collect Indiana use taxes, but if you are unsure, contact the Indiana Department of Revenue. The rest of the application should be self-explanatory. If you have any questions, however, contact the Indiana Department of Revenue by calling 317-233-4015 or using the e-mail form at www.in.gov/dor/3392.htm. Next month I will give you tips on calculating, collecting, and remitting sales taxes. Cut your wrist and bleed into the work . . .
First of all, it’s still surreal when I get these questions, any questions about being an author. I’m not sure I deserve them, have earned them, know how to answer them. But that aside, I do know that that one phrase my agent said struck me, made me rewrite chapter one of Snow Angel with the wrists wide open and the blood (figuratively) flowing. Writing without the safety valve on feels very scary, exposed, raw and real. But that chapter went from two dimensional, cardboard characters to something that breathed on its own, something that could touch a chord from my heart to the reader’s heart, something transcendent. The truth is, though, it was hard to go there. It cost me something greater than myself. My mind turns to Jesus. He “died on the cross for our sins.” The phrase has been said so many times it’s almost a cliché. But if you look at His life . . . He never lived for Himself. He always bled out His life for others, way before the ultimate sacrifice of the cross. I complain sometimes and get discouraged that I don’t have any more to give. But then I look at His example and know I have to give everything. Don’t be fake. Don’t say what you think you should say. Don’t compromise to fit in. Don’t care who you please except for pleasing Him. Cut your wrist (figuratively of course!) and bleed out what God put you on this earth to share with others. You might be rejected. You might be reviled. We were never promised multi-book, thousand dollar deals. But we were promised eternal life with all the rewards that obedience to Him will give us. This life is just a moment. We are all flowers fading. Find what He wants you to write and then live your destiny with the assurance that you have followed in the footsteps of our savior. Jesus. People might not recognize your genius until you are long gone. :-)They might not ever validate you and who you are. But this life is just a glimpse of reality. We might spend eternity discussing your genius! So bleed into your work. Be real. Be honest. Be who He has called you to be. And then expect nothing but His smile and the words, “Well done, good and faithful servant.” Someday, those words will be all that matters and they will ring throughout eternity, never growing old, never fading in meaning nor worth, always validating our sprint here on earth. I can’t wait to someday read the words written on your heart. A quote by Ernest Hemingway. How do you think his quote ended? A few years ago, I sat down to write my first novel. I wrote the first chapter, and then sent it out to my newfound online critique group through ACFW. I received it back, basically painted in red. Disappointed in myself, I scratched the whole first chapter and started over. I let my husband read it. I watched his face as he read every line. He didn’t look too enthusiastic about the chapter. I can’t remember exactly what he said after he finished judging my work, but it wasn’t, “Great work honey! It’s perfect!” His remarks were something opposite, but ended with “Don’t give up.” Encouraging, right? Disappointed in myself again, I scratched the first chapter and started over. I was getting no where fast, and losing my creativity in the process. Afraid to type a word on the page, like playing the Operation game, I couldn’t come up with one perfect word. I couldn’t keep sending my critique group a first chapter, so I had to do something. I finally realized that a junky chapter was better than no chapter. From then on, after receiving my critiqued chapters in red, I wouldn’t allow myself to start over. His method gave me a step-by-step process to get me past the first chapter. The great thing about the Snowflake Method is that it works for seat-of-the-pants writers (like me) and for those writers who like to outline everything first. To see a summary of how the Snowflake works, go online to: http://www.advancedfictionwriting.com/art/snowflake.php. Take that creative mind God gave you, get Ingermanson’s Snowflake Method, and finish your beautiful work of art. "What do I need to know to apply for that inspector's job?" My supervisor didn't even pause as we shoved more equipment down the assembly line. "How are you at Excel?" I hated to admit how little I used that spread-sheet program. At home on the farm, we still use ledgers, the check book register and notes on the calendar to track income and expenses. A few times a year I'd start to put the information on a spread sheet but usually went back to jotting notes on the calendar. At home I vaguely remember another writer blogging about using Excel to plan out a story. Mine story is done, but maybe I could use Excel to analyze it. I could get two things done at once -- take another look at my story, and practice with spread sheets. I plugged in page numbers compared to the names of the point-of-view character for each scene. Then I jotted down a summary. Then I got wild and color-coded it, giving each POV character his or her own color. Still color coding, I highlighted turning points and changed the font color on a couple of scenes that still need work. A couple of possibly draggy sections really did ramble on. And on. And on a little farther. I decided I could break those up. A couple of story threads needed strengthening. And, I could probably cut off the last twenty or so pages. Or not. At any rate, viewing the story from another angle showed some surprising things. How do you-all organize your stories? Do you plot and plan ahead of time or just sit down and let 'er rip? I would love to hear more about other strategies! So what’s an author to do? I swear I could write a book in the time I sit and ponder and deliberate and brood and contemplate and mull over a new way to write a simple but worn out phrase. But I’m learning. Using a Thesaurus helps with alternative word choices (like ponder, above). And reworking clichés can be fun. Instead of “quiet as a mouse” you can say “quiet as a sleeping mouse” or “quiet as the Night Before Christmas mouse” or “quiet as a Romano cheese stuffed mouse.” Hmmmm, *sigh* guess you gotta work on those too. My favorite way to be creative is with similes and metaphors. They are truly jewels—precise, evocative, delightful to the reader’s taste buds (okay, that’s a mixed metaphor: jewels and taste buds have nothing in common—really, I just wanted to give a an example of what not to do!) But don’t go crazy and use them too often or they lose their beauty and become irritating (like the author is trying too hard and drawing attention to herself instead of letting the story flow). Space them out—maybe no more than one per page, at the most. Proverbs 25:11 says, “A word fitly spoken is like apples of gold in settings of silver.” Yes! That’s what we want—fresh writing, words fitly spoken! Similes and metaphors are wonderful, pithy vehicles for creativity, loveliness, power, emotional impact, and uniqueness. Do you use them? My first book, Prescription for Murder, took me almost five years to write and rewrite. And rewrite. And rewrite. I would write for a few months then stop for a few months. Like many writers, I gave in to the demands of life and put my dream of finishing a book on the back burner for long stretches of time. That book is a mess. It’s full of plot holes, loads of backstory, little conflict, and so much amateur writing that I’d be horrified for any of you to read it. LOL. My second book is a little better. I can see improvement in the way the story flows and in the character development. When I try to dissect what made the difference I can only think that most of the second book was written in a much shorter amount of time. The sections that are written the best are those from my time of writing consistently. When writing the first book there was no way I could stay deep into the story when I'd go weeks or months between each scene. I lost my groove and when that happens it's hard to write a cohesive story. I think that’s why I like the above quote so much. It makes perfect sense when you think about it. During the hot pursuit of getting published, writers can sometimes regard their crit partners as creatures of a different species. I'm no exception, especially since I share my office with mine. She's a zebra finch named Kulu, a gift from my daughter who, thankfully, did not bless me with a boa constrictor. Although a boa might put less of a squeeze on my manuscripts. Granted, Kulu often likes my ideas, but she nails me about research and realism in my writing. She also fusses about my grammar and sentence structure. No author should have to take micromanagement from a bird brain. On her end, Kulu's good at plots, but she hates it when I tell her truthfully that her character arcs are for the birds. Kulu's comeback: she's much more professional than I am. She e-mails me nasty memos when messy piles in our office start to block the door. But does she ever clean her cage? No-o-o. Every day Kulu comes to work in full orange make-up, wearing a sleek gray power suit, whereas I buy my writing wardrobe at Elastic World. Blast her, she never gains an ounce because she eats like a bird, while I ... never mind. On pressure writing days when I've got to make deadline and her scratchy, off-key singing gets on my nerves, I consider donating Kulu to the nearest novelist. Grip I: Wow, Charlie, this plot is pathetic. No originality. For once in your life, lose the poor, mistreated kid angle. Grip II: What do you expect from somebody who can't even give me a different name? Charlie: [using office chair] Back off, birds, or I'll kill you off in my novel. Grip I: If you do, we'll sue for royalities. Eddie: [wild-eyed, hunching in a corner over his manuscript] Nevermore! Still, Charlie, Eddie and the Grips posted some great publishing and sales numbers. So I guess Kulu and I should continue the writing relationship. Besides, we've been together nine years. A human would have given up on me a long time ago. From the many valuable resources available, the words of two individuals stand out to me. Those individuals are Chip MacGregor and Randy Ingermanson. I've excerpted Chip's recent Loop entry on marketing tips, which doesn't leave ANY wiggle room for us authors. If you don't take Randy's Advanced Fiction Writing e-zine, you're missing way too much. Find him at http://www.advancedfictionwriting.com/ and find Chip's blog at chipmacgregor.com. You've worn nearly every hat in the publishing kingdom and sat on both/all sides of the publishing desk (author, agent, in-house and-dare I say it-"outhouse" editor). How has your vast and varied experience helped you form a "marketing paradigm" of your own? Can you sum up that paradigm for us? Sure. My marketing paradigm looks like this: "YOU, as the author, are in charge of your marketing. You, Not the Publisher, Not the editor, Not the sales team. YOU." This isn't a business where most of us can simply write a book, send it in, and expect others to take care of us (if in fact that world ever existed). It means an author is going to have to create a plan-an actual marketing plan that dovetails with whatever your publisher is doing. I keep seeing authors talk about marketing, but my experience is that only one in ten actually does much. So be that one in ten-figure out what you can do in order to get the word out about yourself and your book. To start, become knowledgeable about marketing-how to promote yourself and your work. Read up on marketing. DO NOT settle for saying, "I'm going to say yes to interviews." Having a plan means knowing people, making contacts, staying in touch, looking for opportunities and figuring out how to maximize yourself. So when your publisher announces that they're going to take out ads in TCW and toss copies from the balcony of the convention center at CBA, smile and express your appreciation. Then go do your marketing, because anything your publisher does is a bonus. I see the take-a-way from this excerpt as: THEN GO DO YOUR MARKETING! Do you have marketing tips you've found helpful? I know many of you are successful in this area. Please share. Finding that illusive story while on deadline can be a challenge, but there's nearly always a story waiting to be written. I was a rookie news reporter when sent to a near-by town to cover the meeting of a small town council. For the first time in nine years the council conducted no business. They lacked a quorum. While waiting for one more council member to arrive, people chatted about a number of things. Then the council got a call. The absent member was at the hospital with his mother who had a possible heart attack. The board president dismissed the meeting. Back at the newsroom I turned on the computer and stared at it for what seemed an eternity. Then I found my lead. The lack of a quorum halted the conducting of business. This was a first for this particular council. I filed a very short story and waited for the managing editor to read it. She said it was a first for the newspaper too, at least in her time. Never had a college student and rookie reporter ever come up with a story when nothing happened. Even a crazy day, a full dumpster, and hunting a parking place can be the ingredients for cooking up a column -- super fast. Try this one on for size. The headline read "Legs Stop Traffic." I first wrote it for The Twin City Journal-Reporter in Gas City, IN. I should have known what kind of crazy day it would be when I spent half an hour waiting for my daughter to meet me for breakfast before I left for work. I was in the wrong restaurant. I finally realized it and remembered where we were to meet. We enjoyed breakfast and headed our separate ways. My arrival in Gas City was uneventful -- until I tried to park. The lot by the office was full, so I drove down the alley intending to go to the front of the newspaper office and park. As I looked to my left to check out traffic before turning right, I did a double take when I saw a pair of legs sticking out of a dumpster. I parked and went in to grab a camera. Before I could get out of the office we'd received two calls. People were curious about those legs. It seems that Scott Wright, of the Wright Cut, bought a box of mannequins at an auction to use in an art project. Parts he couldn't use he put in the dumpster. "Usually dealers buy them for hundreds of dollars," he said. "I got the whole box of bones for only $10." As I stood on the sidewalk talking with Wright, camera hanging around my neck, I watched people go by. One woman pulled into the bank drive through, took her glasses off and cleaned them, looked again then drove off looking slightly bewildered. Someone else drove by slowly and pulled into the alley for a second look. If they noticed me out on the sidewalk with a camera they probably wondered if they were participating in a local version of Candid Camera. If only I had had the time to wait for trash pickup. The expressions on the faces of the trash collectors might have been well worth snapping. Wright said maybe he should put more bones out each Friday for a while just to see the reaction. Where have you found unexpected stories? Enquiring minds want to know. So do I. Have you ever gotten a card or drawing from a preschool child? Maybe you got one last week for Mother’s Day. You know the kind—huge, round heads sprouting arms and legs, but no torso. Googley eyes and a few stick-straight hairs springing from the top. You know they are supposed to be people, but well, they’re sort of lacking--unfinished. Recently I came across a book written by Ruth Gay discussing the Eastern European Jews that poured into New York during the last century. Many of them were young teenagers—merely children when they left their homeland. When they arrived in the New World, they were thrust into adulthood, ready or not. Gay describes them as “young, single, unskilled, uneducated, and boundlessly optimistic.” She called them “Unfinished People” and described their dilemma. They were “unfinished” because they hadn’t had a chance to be fully steeped in their native culture, yet they were still young enough to embrace the new culture in which they found themselves. They were a hybrid generation. I love when I hear the published authors on the ACFW email loop say they aren’t done learning yet. When they remind us that none of us really ever “arrive” as writers. When they explain that the industry changes and each one of us, pubbed and unpubbed alike, must keep learning and changing right along with it. When the grandmothers-types ask for help with their “technology” so they can “tweet” and “friend” and get “LinkedIn”. That encourages me and makes me thankful for humble mentors who never quit striving to be better; never cease chasing perfection. I’m also thankful that, although we will never be complete as writers, we have the hope of perfection concerning our faith. No, not in this world, but in the next because we are given this promise in the book of Philippians, “…being confident of this, that he who began a good work in you will carry it on to completion until the day of Christ Jesus”. We may ever be “finished” as writers, but God promises us that one day we will be complete. It delights me that the God who created us, and will some day finish the work he started in us, doesn’t compare Himself to a doctor, or a scientist, or an inventor. No, when He tells us some day we will be perfect, He speaks our language, saying, “Let us fix our eyes on Jesus, the author and perfecter of our faith". Take joy, my friends—He won’t leave us “unfinished people”. 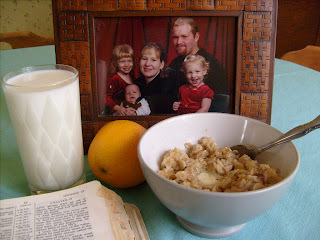 Last week Mary Allen's Hoosier Ink blog (May 5, scroll down to view) was like a message from God to me. Mary wrote: "If God has given you a task -- say to write -- don't grow weary in doing that job. Don't let opposition or difficulties or logic sway you." My surprise book has been just such a task. . . The seed for Women of the Last Supper: “We Were There Too,” was planted in my heart decades ago in China, where I was born and raised during the devastating wars of the 1940's. And while my younger brother and I survived, our three older brothers are buried in Xian, along with millions of other victims. Until seventh grade, my sporadic schooling was mostly by my missionary parents as we fled from place to place, seeking safety from bombs and anti-foreign-devil riots. So during my elementary years, Dad’s pocket New Testament was often my only textbook. Dad looked at me with surprise and answered, “But of course, Jesus had girl disciples!” And he showed me some of the many passages about the women who followed Jesus, and about the girl he brought back to life. After my family finally escaped to Taiwan in 1951, we were able to subscribe to the Reader’s Digest. What a happy day when each new issue arrived (usually months late)! It became my favorite textbook. Dad patiently explained to me that it was a very old painting, and that for some reason the painter had left out the women and the girls. He didn't try to explain to me at my young age about centuries of church tradition and theology. In the decades since, with great fascination I've researched this topic of women at the Last Supper, including at the Vatican and the Louvre, where there are huge ancient paintings showing women, children, and others present at the Last Supper. And why not? It was a Jewish Passover Seder family meal, much like our Thanksgiving dinners. 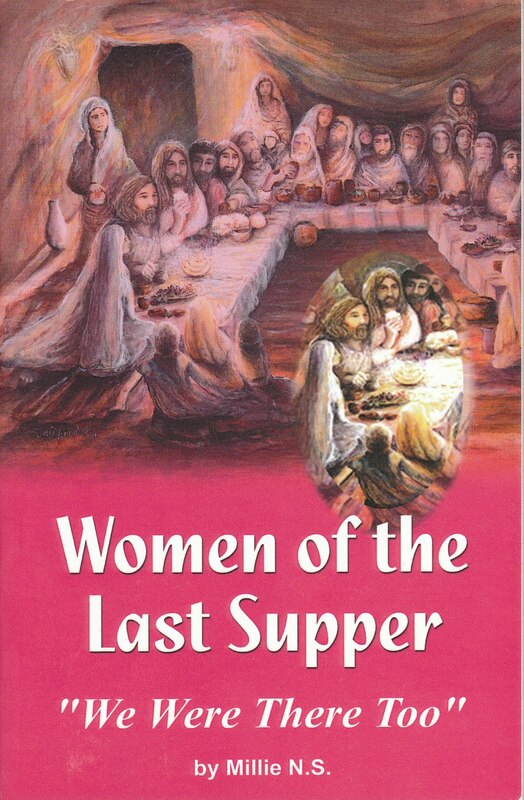 Twelve years ago when I moved to Chesterton, Indiana, for the first time I had a pastor willing to portray women at the Last Supper along with the twelve men disciples. (Not that I hadn't asked and begged before.) And that happened only after I wrote Lenten monologs for the twelve men disciples at my pastor’s request, who then with only a slight hesitation agreed to twelve women monologs as well (even though he was fearful it might be "heresy"). These fictional, but biblical and historical portrayals of women at the Last Supper by daring women from my Joy Circle at church caused quite a stir of controversy and interest! People soon were asking for copies of the women monolog stories. At first, my Joy Circle made copy machine booklets and sold them to raise money for missions. When my son Peter saw the booklets, he urged me instead to self-publish professional looking books. So my first published book was also a surprise book, especially when study groups asked me to include questions and resources. My initial, timid print run of 250 books by www.instantpublisher.com/ was gone in two weeks. Now several years later, I’ve printed books several more times and sold many of my Last Supper books, mostly locally and mainly when I speak about this topic. Right now, I’m nearly out of books (again), and am waiting on God for my next step. 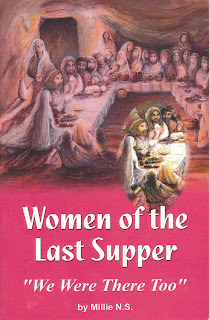 I’ve been sensing for some time that God is leading me to share about "Women of the Last Supper" beyond "Jerusalem." That’s where my agent Diana Flegal and Hartline Literary Agency come in. So these days I'm looking forward to Diana emailing me the good news that a brave, traditional publisher is offering us a contract. If you'd like a look at some of the controversy about my topic, check out the responses to two articles I've recently had published titled "Women at/of the Last Supper" in Christianity Today's Kyria.com and in Light and Life Magazine. So yes, Mary Allen, I was indeed grateful for your meaningful blog last week. God used it to encourage me to "hang in there" as I face opposition and difficulties with this topic and book that I share as a calling from God. You helped me recall something else my dear dad often told me, "Nothing worthwhile is easy!" And I echo it to anyone else reading this today who needs encouragement blessings. The well-known golf trainer, Harvey Penick kept a pocket journal of advice for golfers. After years of accumulated entries, a writer friend suggested Harvey share the information as a book. Harvey agreed, and the two prepared the manuscript and submitted it to a publisher. Later, Harvey’s wife received a phone call from the publisher who explained; they would like to publish the book for ninety-thousand dollars. Mrs. Penick shared the news with Harvey, and after a few days the excited couple contacted the publisher. “Yes, we want to publish the book,” Mrs. Penick said, “and we plan to take out a second mortgage to help fund the ninety-thousand dollars.” Naturally, the couple was surprised to learn their mistake—they were going to receive ninety-thousand dollars for the rights to print the books. Like the Penicks who misunderstood the publisher’s offer, Christian writers accept the call to the writing ministry and often think they are making a sacrifice. After all, they must rearrange their lifestyle to make time for their calling. Ironically, they are surprised to learn that working for Christ is more rewarding than first anticipated. While sacrificing the time to nurture their calling, writers grow spiritually, stretch their brains, and become a blessing to others. Truly, the writer gets the best of the trade. Prayer; Thank you Jesus, for your calling to write, which is more valuable than riches. Many of us are anxiously thinking about pitching our projects at the ACFW conference in Indianapolis in September. With that in mind, over the next few months, I'm going to spotlight a few of the CBA publishers and agents that will be available to take appointments. The first spotlight shines on... the Heartsong Presents line at Barbour Publishing. Do you enjoy writing Christian romance? Are you looking for that elusive publishing house that accepts unagented submissions from first time authors? Heartsong might be the line for you. Heartsong is a book club that mails four sweet romance novels to their members each month. As a member of the club, I enjoy the books and recommend that you join to learn about the line before submitting a proposal. Several of our published Indiana authors first saw their novels in print in the Heartsong Presents line. Manuscripts must be between 45,000 and 50,000 words. The main story must be the romance with strong inspirational themes. These books are read by a conservative audience so the books should not have content that offends the readers. Heartsong published both contemporary and historical novels with a strong geographical sense of place. Three years ago my husband ran the Indianapolis 500 Mini Marathon. Since it was his first half-marathon, he was assigned to one of the back corrals, a holding tank for three hundred or so runners of similar pace. I took a few photos, kissed him, and headed to the starting line, thinking I'd see him a few minutes after the gun was fired. Wrong. Forty minutes and an extra mile later he crossed the starting line and began his race. Today is Mother’s Day. You’ve written, but you want to write more. What’s your pace, Mom? If you haven’t entered the race, register today. Read. Think. Listen. Watch. You're writing even when you're not. If you’re in a back corral, take a step. Write short. Make a list. Write a note. Write funny. Preschool children offer great fodder. When my four-year-old saw my Suburban leaking water across the Burger King lot he said, “Mom, your truck is going potty!” Older people provide material, too. After my grandfather understood he’d had a stroke he said he’d just “put his shoes on and hitch hike home” from the hospital. Think about those comments. They’ll show you a different way of looking at the world. Isn’t a fresh view of life one of the elements you love in fiction? If you’re moving forward, but slower than you’d like, be patient. 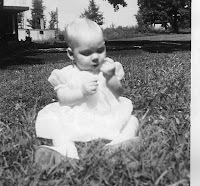 Real writing—like real mothering—winnows. Both endeavors slough off the hard husk to reveal the core, who we really are. If you’re striding, or even sprinting, be faithful. The wise woman builds her house, but the foolish woman tears it down with her own hands. Work to find God’s balance between your call as mother and as writer. While my husband ran the 13.1 mile race I headed to the adjacent 5K, a race that fit me. I smiled as I ran, knowing somewhere nearby my husband was running his course. I finished mine, took the banana offered me, and found the half-marathon finish line. Scores of people poured over it. Some could have turned around and run it again backwards; others streamed tears, hardly daring to believe they’d done the thing. Finally I spotted my husband, sweat-drenched and happy he’d finished his first and last half-marathon. Where are you, Mom? Waiting to start? Inching forward? Striding? Sprinting? Focus on Jesus so you can run the whole race marked out for you. Recently, I said, “Enough.” It wasn’t easy. But I did it. I’m here to tell you...this is a bad idea. As I writer, I experience a different kind of “off” time from my fellow editors.They’re readers, with no real aspirations to write. When they go home from the office, they don’t go “home” to another “office. That week, I was working on Chapter Two of a new story. (I’m still working on Chapter Two of that new story!) I like this story. I could, eventually, love this story...if I made it a priority and wrote more per day. But when one comes home tuckered from one’s day job, it’s not a matter of priorities. It’s a matter of sheer lack of physical and emotional energy. Which got me thinking about when it’s time to say “enough” to someone else’s mission...and embrace one’s own. You see, there is another gig around the world of writing, one that doesn’t exhaust me—in fact, it fires me up creatively: speaking to writers about writing. I do it online, I’ve done it “live”at conferences, and I want to do more of it. Some people tremble at the thought of speaking, teaching, or presenting. Not me. I’d love, love, love, to do more of it. But when I have a week or two, or a weekend, like this, I wonder how I’ll ever make that transition. So I’ve decided to do something really radical, for me at least: ask for help. ...please pass my name along. I give you permission. Carte blanche. With only one condition. Bottom line is, it’s long past time, in this writer’s life, to connect with people who’ll appreciate what I’ve come to understand about the writing trade over the past (you don’t want to know how many) years, and who may be willing to offer good old-fashioned honest Coin of the Realm for it. So I’m hanging out the shingle. I’m placing the fleece. I’m praying for the best. And, with a few blessings, sooner rather than later, I hope to say “Enough!” to the rest. On my way to becoming the next “award-winning-best-selling-author,” I try to make a little cash freelancing. I've learned that editors of online platforms want writing that is clear, concise and succinct. They want short paragraphs that enable the reader to skim quickly for information. As an educator, this is disheartening. How will I ever get my students to read Robinson Crusoe or Little Women if all they are exposed to is material that only hits the high points? I wonder if Homer, that great writer of the 8th century, would wring his hands after reading the above mentioned novels. A lot of changes took place in writing between the 8th and 19th centuries. Writing changes over time because forms of communication change. Now, more than any time in the history of the world, we communicate via the written word. Texting, e-mail, and chat, makes communication briefer and more to the point. This is bad if you’re a writer of deep, philosophical prose. Readers today want worthy stuff in exchange for their most valuable commodity--time. When they spend time reading what you've written, take-away value better be there. They don’t care too much about the the boring inner thoughts of a young heroine as she drinks in the sweet, fragrant essence of the violent sea as it crashes violently upon the gleaming rocky shore. Modern, tech-savvy readers want the bottom line. They want info in clear, concise writing. There isn’t time for the flowery stuff. Prose isn’t going to grab them. And yet, we need to give the reader enough information about our characters--where they are, why they are there, and what they are thinking-- so that the story has meat. How do we do that? Therein lies the challenge. How do we tell a great story with so few words? Writing a novel is different than writing an article or column, but if this is how modern readers are accustomed to reading, won’t it carry over into fiction eventually? Today's readers challenge us to keep their attention. Mastering attention-grabbing-and-keeping-writing is what separates today’s great authors from those who tinker with little stories on their laptops. This challenge, when conquered, is what makes writing an art. It’s certainly my daily battle. I’m brimming with good story ideas, but weaving the right amount of words into an attention-grabbing saga is a dragon I’m determined to conquer. What are the dragons you battle on the way to your best-selling novel? Share them with me so I know I’m not alone! Do you think in word pictures? Have you ever visualized the process of novel-writing as word pictures? According to Snowman 101, the first step is simply to wait until enough snow accumulates on the ground. And not just any snow. You need the slightly moist type of snowflakes that stick together, not the cold, dry powdery kind. When that just-right type of snow collects, you head outdoors, scoop up a handful, and then begin rolling it across your yard. More snow sticks to your original ball, and before long—Voilá! You have a large, round orb for your snowman’s foundation. Repeat that process, but don’t let the second snowball become quite as big as the first one. That ball becomes a plump torso to heave atop the first one. Finally, you create a third ball and plop it into place for a head. Adding chunks of coal (or bits of gravel) plus a carrot will provide a rudimentary face. That accomplished, you stand back and admire your handiwork. However, a snowman is not a “snow sculpture.” Any elementary-school kid can duplicate that process, but the end result isn’t artwork. If you aim to create a truly extraordinary piece of snow art, it’s time to reach into your pockets for your butter knife, a spoon, and whichever other tools work best for you. By carving away lumps of snow here and there, or scooping up more snow to pat into gaps and cracks, you can transform an ungainly snowman into a genuine statue that delights the eye. See the parallels to writing? In order to mold stories, you need material to work with. So you read. Short stories, novels, newspapers, magazines, comic books—all of these contribute fresh ideas and concepts as raw material. Once you have an outline for a story in mind, you draw upon your brain’s accumulated ideas and you write. However, when you type that final period and your manuscript is done—it’s not really done at all. At that point, you have a literary version of a basic snowman. You could leave your manuscript as is and balk at suggestions at changing it, but chances are excellent that no one will give it a second glance. No, if you want to catch readers’ eyes and start tongues wagging about your creation, you must sculpt. You trim off unnecessary adverbs and prepositional phrases. You spot gaps and cracks and fill those in with new sentences brimming with glistening figures of speech, nuggets of wisdom, jewel-studded subplots, tension, maybe even new characters with unique points of view. That done, congratulations! You finally have a unique bit of artwork, the type that results only through hours of mental exertion: a novel. If other readers have favorite word pictures or analogies related to writing, I’d love to hear them! Amid all the choices I had to read, I’m not sure how I happened at age eleven upon the blue hardbound book entitled “God’s Smuggler” by the founder of Open Doors, an organization which still ministers to persecuted Christians around the world. Known as Brother Andrew, this Dutchman loved God and risked his life repeatedly to smuggle pornographic material into Communist countries. You see, after the communist government had declared the Bible to be pornographic, jail, torture, or death awaited those foolish enough to carry such contraband. Once, Brother Andrew prayed the eyes of the border patrol would be blinded as he stacked Bibles openly on his seat. Every other car was pulled apart and searched, but he was waved through with only a cursory glance at his passport. Andrew wasn’t exempt from life’s problems. People betrayed his trust. Not every moment was so clearly defined. He had human frailties. Even so, God accomplished His purpose to reach Eastern European hearts just as He promised Abram that all peoples on earth will be blessed through him and his obedience. As a young mother, I read a true account of an intercessor awakened by God and told to go shopping. She browsed the grocery aisles listening for further instruction as she filled the cart with flour, sugar, milk, baby formula, oatmeal. She hesitated over oranges, an expensive treat, but didn’t feel the task was complete until she’d added them. She didn’t know that a hungry little girl, being taught by her parents to pray to God to supply breakfast, had specifically requested them. If God has given you a task – say to write—don’t grow weary in doing that job. Don’t let opposition or difficulties or logic sway you. There is power in the written word. Stories of Brother Andrew and that nameless woman impressed me to follow their example. You will impress others to draw closer to God through your writing. Don’t ever underestimate the power of an obedient heart sold out 100% to the Lord. Be that heart. Who has been a Brother Andrew example for you? How has it impacted your writing experience? What is the hardest step of obedience/ trust you’ve had to make in writing? How Many Times Can a Person Be Rejected Before He Resorts to Unscrupulous Means? James Whitcomb Riley and my great grandmother had something in common. They both were born in a log cabin in Indiana in 1849. I wonder if she knew who he was? I remember memorizing his poems back when I was a kid. Of course, back then it was the norm to memorize poetry and Psalms. I can still recite some of them. Do you remember this Hoosier favorite? At one point in his life, James tried going to college in order to follow in his attorney father’s shoes. While he tried to study law and make his father proud, he found that he was better suited to follow in his mother's steps by writing poetry. Through his poetry, James found that he was more adept to entertaining than anything else. Couple that with his longing to wander, and you can see why he traveled around the country on a theater circuit tour reciting his poems. James Whitcomb Riley was no stranger to rejection. His poetry had been published in various newspapers across the country, but since he hailed from the Midwest and not the East, getting his poems published appeared impossible. No one seemed to notice his talent. In spite of his inability to adapt to studying or pursuing a degree, he came up with a resourceful way to “break in” to the writer’s world. He published one of his poems under another famous poet’s name – Edgar Allan Poe. The poem received wide acclaim and served as a springboard into fame for Riley once he made it known that it was he who wrote the poem and not Poe. Here's a little quiz to see if you can tell the difference between Riley’s poems and Poe’s. It is said that Riley became the wealthiest poet of his time. We in Indiana know him as “The Hoosier Poet”, but he was best known nationally as "The Children’s Poet”. Do you have a favorite James Whitcomb Riley poem? We're all told to avoid them, yet they show up in every writer's first draft. The key is catching them in the second, third, or fourth draft. So in honor of our pledge as writers to avoid clichés, here are my top seven cliché phrases (because a Top Ten list would be way too cliché). 7) The difference was like night and day. - Or black and white, or Baptist and Pentecostal. 6) It happened in the blink of an eye. - Or, It happened faster than a stomach clench at reading all these clichés. 5) I feel as big as a beached whale. - Cliché or not, this one is true thanks to my baby belly. Here's another true statement: I feel bigger than a hippopotamus on steroids. 4) Don't let the cat out of the bag. - Instead of freshening this one up, I just have to ask who put the cat in the bag in the first place? And who is going to get the poor thing out? 3) We can't afford to lose. - If we lose, we'll be sorrier than all these washed-up writers who can't freshen up their clichés. 2) It's as easy as pie. - Who said making a pie was easy? For me, It's as easy as a frozen Marie Callendar pie. 1) She was scared to death. - Her fear rivaled that of a writer stuck in a time warp of bad clichés. What are your toughest clichés to kick? Do you have any fresh takes on the clichés in this list?